Abbotsford, B.C., Can., resident Elaine Newman is probably the first Canadian to graduate with her master’s degree in academic advising from Kansas State University in Manhattan, Kan., which she did in May 2010. After working in academic advising for a number of years at the University of the Fraser Valley in Abbotsford, the married mother of two school-age children decided to build on her bachelor’s degree in adult education. She found K-State through NACADA (the National Academic Advising Association, based at K-State) and a recommendation from a colleague. 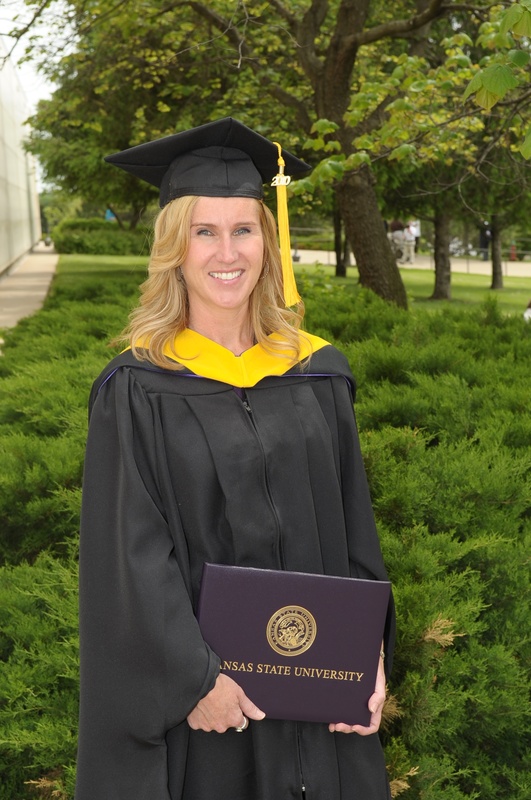 She first completed K-State’s academic advising graduate certificate, and once the university started offering the master’s degree, she was on board. “I decided to continue on, because I was enjoying the program so much. It was fabulous to be able to work full-time while completing my degree,” Newman said. She was very pleased with her experience with K-State, including the responsiveness of the faculty and the flexibility of the program. She also lauded the support she received from the K-State Division of Continuing Education. Newman set foot in Manhattan for the very first time on the day she graduated. She and her husband flew to Kansas City and drove west a couple of hours to the K-State campus. Newman was pleased and surprised to meet some classmates who, up until then, had only been names on a screen. Newman highly recommends distance education and K-State’s program.